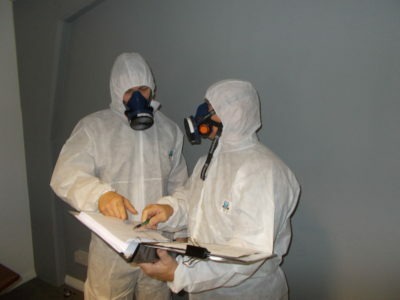 AC&MS Ltd are an Independent asbestos consultancy tailored to suit your needs. With over 13 years of experience working in the asbestos industry AC&MS Ltd are fully trained to solve your commercial needs 24 hours a day, 7 days a week. With a dedicated team of professional Asbestos Consultants AC&MS Ltd can guarantee you quality to the core, which is unparalleled throughout the industry. AC&MS Ltd are proud to have successfully achieved and maintained UKAS accreditation to BS EN ISO/IEC 17020 for inspection in all building sectors, including industrial, commercial and domestic since 2005. BS EN ISO/IEC 17025 UKAS Accreditation for Bulk Analysis. ISO 9001 Accredited Certification for Quality Management. ISO 14001 Accredited Certification for Environmental Management. OHSAS 18001 Accredited Certification for Occupational Health & Safety Management. With the combined force of these accreditations, AC&MS Ltd continually strives to give our customers the service & commitment they expect. AC&MS can provide asbestos surveys 365 days per year and also provide emergency surveys. An asbestos Management survey is essential for the duty holder to manage the asbestos within the building and keep employees/site tradesmen safe. In accordance with regulation 4 of the control of asbestos regulations (CAR). The purpose of an Asbestos Management survey is to locate, as far as reasonably practicable, the presence and extent of asbestos containing materials within the property of building. A Refurbishment and Demolition survey is required to all properties or buildings that have planned Refurbishment or Demolition works. The survey if fully intrusive/destructive in order to locate all asbestos containing materials present on the surface and within the fabric of the property or building. A combined survey is generally required when a property or building is undergoing part refurbishment works however also requires a Management survey to ensure compliance to asbestos regulations. This type of survey is common to the Social housing sector. A Re-inspection of an asbestos management survey is critical to ensure continued compliance to regulation 4 “The duty to manage”. During this type of survey all Asbestos containing materials previously identified are compared to their present condition and the report reissued to show these changes. Periodic Re-inspections should not exceed 12 months, however higher risk asbestos materials should be routinely inspected on a higher frequency due to the nature of the material. AC&MS Ltd offer a robust Re-inspection survey report based on the third party information and ensure all previously No Access areas are covered and reported within the survey. If any asbestos containing materials have degraded since the previous report AC&MS will ensure the client is aware of the increased risk and advised on best practice for managing the asbestos material or full asbestos removal if required. All asbestos Re-inspections are carried out in accordance with the relevant in-house procedures and HSE guidance, including HSG264 “Asbestos: The survey guide”. We can help you with all situations involving Asbestos, whether you need Advice, a Survey, Testing & Analysis or Asbestos removal. All AC&MS Laboratory staff are trained to the national recognised BOHS proficiency module P401 and have a wealth of experience dealing with all types of asbestos and non asbestos samples. AC&MS Ltd have a dedicated asbestos removal management team who are fully qualified in the safe removal and disposal of asbestos by the BOHS. Continued and excessive exposure to lead can affect multiple body systems such the kidney and brain, in addition it can increase the risk of high blood pressure. Lead poisoning is particularly harmful to young children.